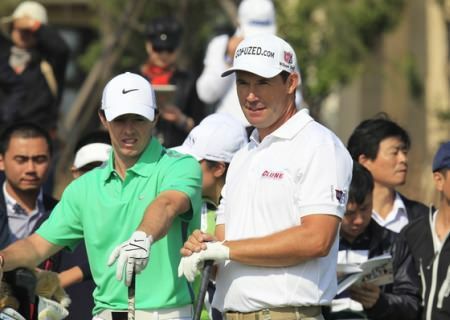 World No 59 Harrington went out in level par 36 with three birdies and three bogeys on his card. But he stormed home in 31 by following an eagle three at the 10th with birdies at the 13th, 14th and 17th for a 67 at Durban Country Club. The Dubliner is tied for fifth place on eight under par with Lowry (70) a shot further back in joint seventh after finishing with an eagle two for the second day running. Harrington is seven shots adrift of Scotland’s Scott Jamieson, who hit a 68 to open a commanding five stroke lead over Thongchai Jaidee, Frenchman Julien Quesne and home hero Louis Oosthuizen on 15 under. But the 41-year old Dubliner could have enough with a top-six finish in Durban to return to the world’s top 50 for the first time for 18 months (29 May 2011). Lowry needs to be in the world’s top 50 the week before the Masters (March 31) but he could make the leap on Sunday with a top 13 finish. As things stand, the Offaly man is just a shot behind Harrington in joint seventh on seven under after coming within four feet of winning a €112,00 lorry for a hole-in-one at the driveable 18th. The two-time European Tour winner Lowry saw his drive kick off the bank of a bunker and was roll towards the hole only to pull up short in the wet conditions. He eagled it for the second day running - the first came when he sank a bunker shot - carding a two under 70 to remain in with a shout of a third tour win. Taking Jamieson out of the equation, Harrington is just two shots off second place with Lowry only three behind. Jamieson came into the tournament as a member of the world’s top 100 for the first time in his life - at 100th - but could end it with all manner of exciting possibilities opening up for him. Never having played a world championship, he would be looking at a place in next month’s 64-man Accenture Match Play in Arizona and being in the top 50 at the end of March would give him a dream debut in the US Masters at Augusta - the town where he went to college. Not bad for someone who failed in his first three attempts to survive the European Tour qualifying school before coming through the Challenge Tour three years ago. Oosthuizen held a one-shot overnight lead, but went to the turn in a worst-of-the-day 40 and needed three birdies in the next four holes to reignite his hopes. Jaidee was the first to take advantage, going three clear after birdies at the second and third, but he also took six at the long eighth whereas Jamieson hit a brilliant second shot to five feet and made it for eagle. That three-shot swing brought him level and he moved three in front by chipping in from 25 yards at the 11th, making a 12-footer on the next and then leaving himself a tap-in at the 339-yard 13th. The gap became four when Jaidee missed a short putt on the 16th as heavy rain returned and he bogeyed the 273-yard last as well. Jamieson dropped a shot on the 17th after missing the green, but chipped close at the last to pick up a further stroke…. Jamieson said of his three-iron on the eighth to set up the eagle as Jaidee and Oosthuizen were taking sixes there: “That definitely got me kick-started. As for his early professional struggles he added: “I was just in the abyss, so I guess slumming around in the lower leagues helps build your character. Padraig Harrington in action during the third round of the Volvo Golf Champions. 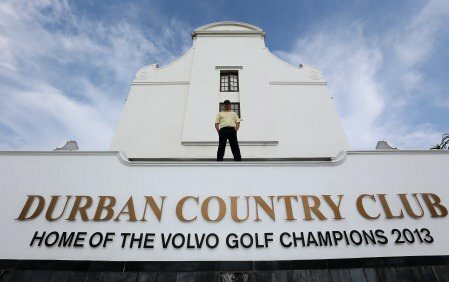 Photo by Carl Fourie www.golffile.iePadraig Harrington goes into the final round of the Volvo Golf Champions pursued by the tyranny of results but buoyed by the knowledge that he’s got a great chance to slay some particularly persistent demons. 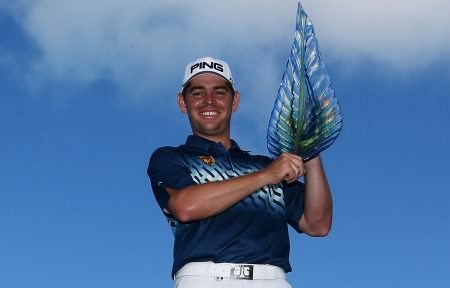 Louis Oosthuizen moved to a career high of world No 4 thanks to his win in the 2012 Volvo Golf Champions. Picture courtesy of Getty ImagesPadraig Harrington roared back into the world’s Top-50 after an 18-month absence but is was his putting that pleased him most as he captured fourth place in the Volvo Golf Champions. Pádraig Harrington and Darren Clarke stormed home in 33 blows to keep their chances of victory alive heading into the final round of the Volvo Golf Champions in South Africa. You could cut the frustration with a knife but it was probably best to keep sharp objects well away from Pádraig Harrington after he finished three shots adrift of winner Louis Oosthuizen in the Volvo Golf Champions.